CHRISTIANSBURG, Va. (WLS) -- A school sent twenty kids home, for refusing to remove clothing that featured Confederate flags. 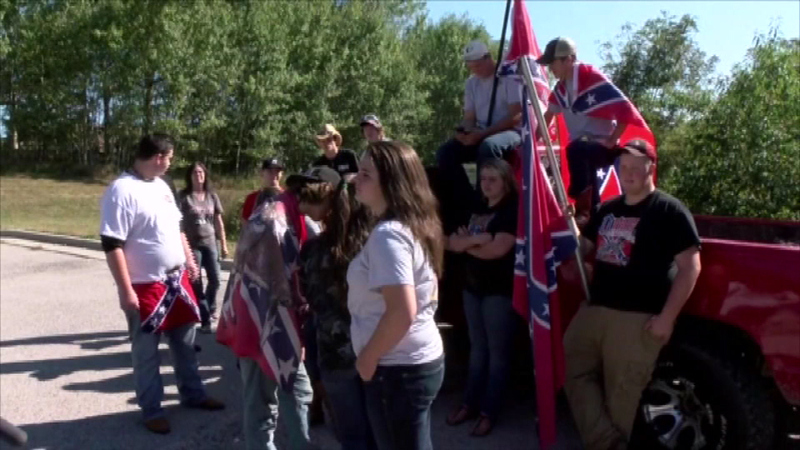 They were protesting a new policy banning vehicles with the confederate flag at their school in Christiansburg, Va.
After getting kicked out of school, the students went across the street to continue the protest. Some of them received three days of out-of-school suspension, others received one day.